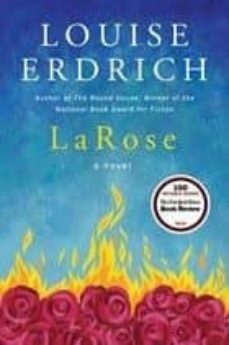 In this literary masterwork, Louise Erdrich, the bestselling author of the National Book Award-winning The Round House and the Pulitzer Prize nominee The Plague of Doves wields her breathtaking narrative magic in an emotionally haunting contemporary tale of a tragic accident, a demand for justice, and a profound act of atonement with ancient roots in Native American culture. North Dakota, late summer, 1999. Landreaux Iron stalks a deer along the edge of the property bordering his own. He shoots with easy confidence—but when the buck springs away, Landreaux realizes he’s hit something else, a blur he saw as he squeezed the trigger. When he staggers closer, he realizes he has killed his neighbor’s five-year-old son, Dusty Ravich. The youngest child of his friend and neighbor, Peter Ravich, Dusty was best friends with Landreaux’s five-year-old son, LaRose. The two families have always been close, sharing food, clothing, and rides into town; their children played together despite going to different schools; and Landreaux’s wife, Emmaline, is half sister to Dusty’s mother, Nola. Horrified at what he’s done, the recovered alcoholic turns to an Ojibwe tribe tradition—the sweat lodge—for guidance, and finds a way forward. Following an ancient means of retribution, he and Emmaline will give LaRose to the grieving Peter and Nola. “Our son will be your son now,” they tell them.